Cats like all carnivores (meat eaters) have two sets of teeth. The baby teeth are called deciduous, and by the time cats are approximately six months of age, these have been replaced by their adult teeth, which have to last them the rest of their lives. Hence it is critical that cat owners are alert to dental problems. A cat’s mouth can be one of the most neglected areas of feline health. Cats are experts at hiding health problems; this is true of-of dental disease too. Cats will continue eating despite quite a significant disease in their mouths. Many cat owners have issues handling their pets, nevermind trying to examine inside their mouths! The sooner a dental problem is spotted, the better, hence enabling early treatment. 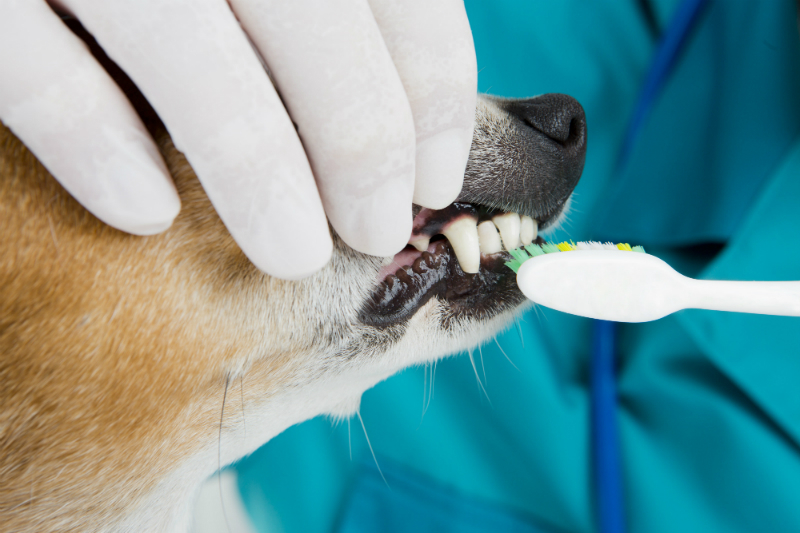 A veterinary dental cleaning always begins with an initial awake oral exam. This allows our doctors to assess the mouth and teeth and gain a general idea of your cat’s dental condition. We may or may not recommend blood work before their cleaning. This will depend on your cat’s age and any other health conditions etc. While under anesthesia, a complete oral exam and x-rays are performed, to identify any problems beneath the gum-line. This will be done if we are worried about a certain tooth. Common painful problems that can be identified with dental radiographs are; broken teeth and roots, periodontal disease, dead teeth, abscesses or infected teeth. We perform a full cleaning under the gum-line where periodontal disease lurks. Followed by a professional scaling and polishing of the crown, or visible part of your cat’s teeth. Lastly, if no extractions needed, we polish all teeth, to make a smooth surface, which helps to discourage plaque and tartar buildup. Some signs can be obvious, and these include the cat not eating, excessive drooling, pawing at the mouth, chattering of the teeth, smelly breath or blood at the corners of their mouth or in their food bowl. Other less obvious signs can include weight loss, eating on one side of the mouth, eating more slowly, choosing soft food and ignoring kibble, or appearing interested in food but backing away when it’s offered. Any change in a cat’s behaviour around mealtime can suggest a dental problem and therefore needs looking into. Yes, Abyssinians and Somalis are notoriously susceptible to gingivitis, while Siamese, Persian and Himalayan cats have high rates of tartar accumulation and receding gums. Tooth resorption is, unfortunately, a common problem in cats, with research indicating that over 30% of cats will suffer this dental problem in their lifetime. Tooth resorption starts in the root of the tooth, beneath the gum line. The tooth is gradually dissolved and replaced by the surrounding jaw bone. This resorption continues inside the tooth into the crown, which weakens the tooth. The hard covering of the tooth (enamel), while being very strong, is very thin in the cat and can be chipped off this weakened tooth. This exposes the sensitive nerves inside the tooth, which is very painful for your cat!